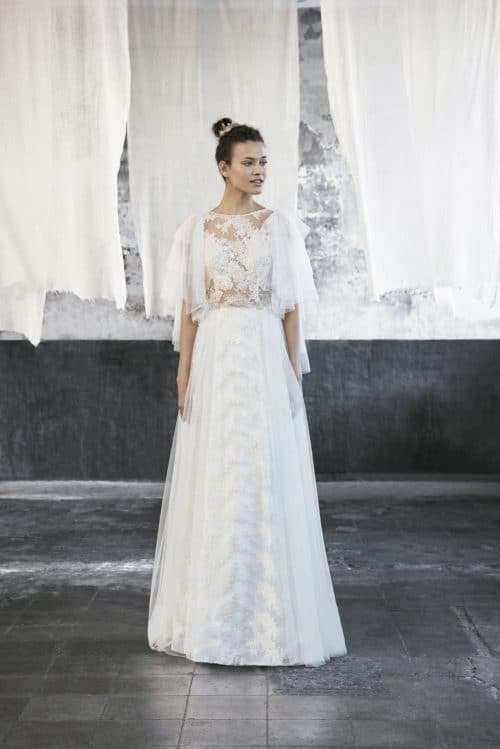 Wedding dress designed with chiffon, net and silky tulle. Chiffon pleated detail on the back finished with gemstones strips. The skirt and the large train are made with chiffon.